Planning an extended stay in Paris and worried about meeting other Anglophones? I have one word for you… Don’t. In Paris, we expats are practically tripping over each other, there are so many of us. By some estimates there are more than 200,000 American expats in Paris. Add to this tens of thousands of English, Irish and Australian expats—not to mention countless other expats who happen to speak English—and you’ve got yourself a very robust Anglophone community. Be a part of American history in Paris: hang out at the legendary English-language bookstore, Shakespeare & Company. This cozy Left Bank bookshop was originally founded by American Sylvia Beach in 1919 (and was a fave of literary greats like Ernest Hemmingway) but closed in the midst of World War II. In 1951 late George Whitman recreated it and ever since, Anglophones have flocked there to explore its jumbled bookshelves, participate in literary events, or just hang out with a laptop or book in one of their comfy, cracked leather sofas. Bubbling with activity, there’s always an opportunity for connection and conversation (37, rue de la Bucherie, 5e). Those who love socializing over spirits—and I don’t mean the ghostly kind—are going to love The Chamber. Created by American expat and cocktail aficionado, Forest Collins, The Chamber is a private pop-up cocktail club intended to reinvent the conviviality of the traditional Parisian salon for a modern, international crowd. This club is likely a good fit for anyone who loves a good cocktail, a good meal, and amusing conversation. Being a “pop-up,” this club has no fixed location but takes place at various private residences or specially selected restaurants or bars throughout the city. Every week Chamber members are e-mailed the “Drink of the Week” password and secret location, where they go to mingle over cocktails at discounted rates. The Chamber also hosts special events, such as dinners, book club meetings, and boat rides, which are capped at 14 people to facilitate conversation and allow participants to interact more easily. 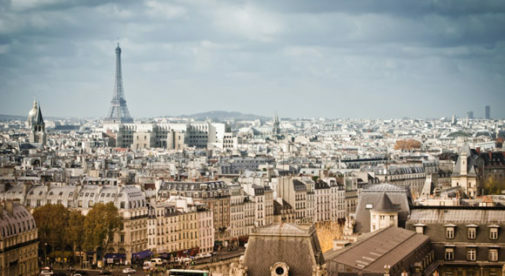 Non-members, including tourists and those “just passing through” Paris are encouraged to participate in Chamber events. The cost of entry varies, depending on the nature of the event. For more information, check the website: thechamberparis.com. Paris is home to several churches that hold services in English, each of which have their own communities and offer communal activities that go beyond religious services. For example, both the American Cathedral of Paris (Episcopalian) and the American Church of Paris (interdenominational), host musical concerts, offer community group meetings (including for women, multicultural couples and the LGBQT community), as well as outreach programs designed to help the poor in the French community and around the world. For English-speaking synagogues, check out the Kehilat Gesher in the 17th arrondissement. I’ve heard that the synagogue is so inclusive that it has members who aren’t even Jewish!